So, you watched my l ittle video on the HULK BURGER and you’re still itching for more flaming hot deliciousness? I knew I always liked you, Readers. If you’re going to celebrate Banner and his inner rage beast, you gotta go big. 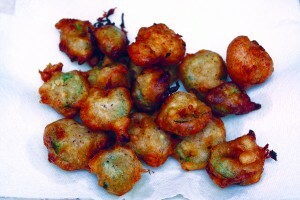 You gotta go beer battered, deep fried jalapeno slices. If you want this fantastic side to team up with your HULK Burger after seeing Avengers: Age of Ultron, it’s really easy to do and can be knocked out in only a few minutes of prep time and cook time. 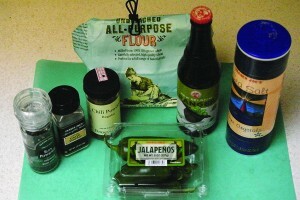 First, slowly combine the beer and flour together in a bowl until you have a pancake batter consistency. 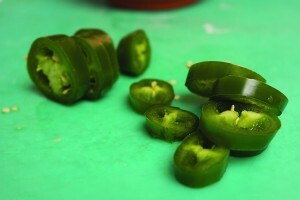 You don’t want it too thin or it’ll run right off your jalapenos before they can fry. When you’ve got this base batter ready, start pouring in the salt, black pepper, garlic powder and chili powder (do it, seriously). Whisk each on in separately and fully so you aren’t left with slices that are wholly covered in black pepper. While you’re working in these ingredients, slowly heat up your cooking oil. 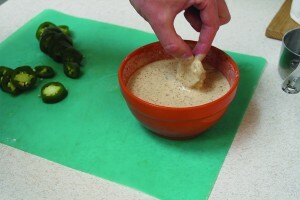 As your batter sits, wash and slice your jalapenos into 1/4 to 1/2 inch slices, depends on how much heat you want in each bite. Don’t de-vein or de-seed them. You’ll take away the special kick these bite-sized Gamma bombs are going to drop. Take each slice individually, drip it into your batter and cover it completely. 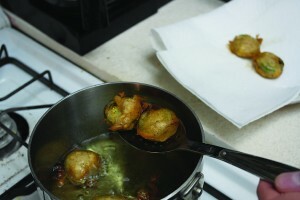 Working in batches, move each slice into the cooking oil and keep each one in until the batter turns a golden brown. Remove the slices with a slotted spoon and let sit on a paper towel to drain the excess oil. If you have extr a batter, I would highly suggest dropping spoonfuls of the batter in as well and create fried dough balls with a slight spicy kick. 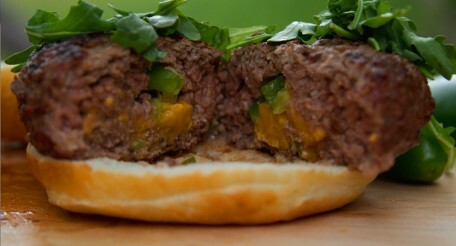 And that’s how we at The Danger Sandwich create Gamma Bombs, the perfect companion to THE HULK BURGER. Or if you’re extra crazy, on top of THE HULK BURGER. Either way it’s a great way to wrap up your Avengers-centric weekend. Let me know if you end up trying this recipe and if yo u liked them. I had a blast creating this little side, even though I may or may not have burned off half of my taste buds in the process. But it’s all in the name of deliciousness, right? These look awesome. We will have to try these.